Little, Brown Books for Young Readers, 9780316243230, 128pp. 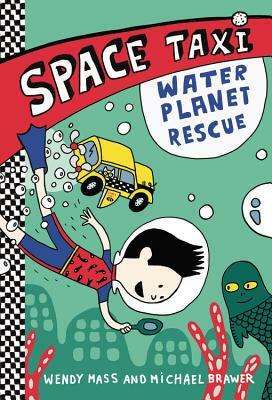 In the second book in this series, Archie, his dad, and Pockets fly to a planet in peril: someone is stealing the water from this underwater world! Can Archie and Pockets save the day? Wendy Mass is the New York Times bestselling author of The Candymakers, Pi in the Sky, Every Soul a Star, Jeremy Fink and the Meaning of Life, and A Mango-Shaped Space. Michael Brawer spent 15 years as a teacher in New Jersey. An avid reader of science fiction, he has written curricula for courses on the subject. Wendy and Michael live with their family in New Jersey. Elise Gravel has received the Governor General's award for illustration. You can visit her at elisegravel.com.